An umbrella is a type of liability policy. It applies over and above the coverage afforded by your primary general liability policy. If you have purchased commercial auto liability and/or employers liability coverage, your umbrella should include those coverages as well. To understand how an umbrella works, imagine you are looking at a low building with a tall flat roof. The roof has overhangs that extend beyond the building in all directions. The building's floor and walls represent your basic (primary) policies. The roof represents your umbrella. The height of the building reflects the limits provided by your basic policies. The thickness of the roof reflects the limits provided by your umbrella. The overhangs on the roof represent coverages provided by your umbrella that aren't included in your basic policies. An umbrella affords valuable protection against large lawsuits that could devastate your firm. Before purchasing a policy, however, there are several things you should consider. The limits your firm needs largely depend on the nature of your business. For instance, hotels, crane operators, and pharmaceuticals manufacturers are subject to catastrophic losses. They need higher umbrella limits than say, a retail store. Ask your agent or broker to help you determine how much coverage you need. The umbrella should provide coverages that are not afforded by your basic liability policy. The coverages your company needs depend on the type of business you operate. For example, if your company operates a brewery, you might choose an umbrella that includes liquor liability coverage. Likewise, if your firm owns a boat for entertaining clients, you might opt for an umbrella that includes watercraft liability coverage. Umbrella premiums vary depending on the carrier, the limits, and the coverages you purchase. Ask your agent or broker for an estimate of how much an umbrella policy is likely to cost. The scope of coverage afforded by an umbrella can vary widely from one insurer to the other. Thus, it is important to shop around and compare policies. 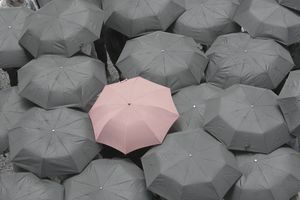 A good place to start is to obtain an umbrella quote from the insurer that issued your primary general liability policy. Once you have a quote, you can use it as a basis for comparison. If your liability insurer does not offer umbrellas, ask your agent or broker to suggest alternative carriers. There are a few things to keep in mind when shopping for an umbrella. First, many umbrella insurers have replaced “legalese” with simplified language like that found in most primary policies. This has made umbrellas easier to read. However, some umbrellas are so similar to the basic policy that they are practically mirror images. These so-called umbrellas may afford little if any, coverage that is not provided by the primary policy. Secondly, an umbrella policy may contain exclusions that aren't found in your basic policies. Alternatively, an umbrella may contain the same type of exclusion as your primary policy, but the exclusion in the umbrella may be broader. For example, the expected or intended injury exclusion in your basic liability policy provides an exception for bodily injury or property damage that results from the use of reasonable force to protect persons or property. The exclusion in your umbrella policy does not contain these exceptions. Thirdly, some umbrellas contain a self-insured retention or “SIR.” It represents the amount your firm will pay out of pocket for each occurrence that is covered by the umbrella but not the basic policy. Finally, your umbrella policy should begin and end on the same dates as your basic policies. Policy dates are important because many umbrellas limit coverage to injuries or damage that occur during the policy period of the umbrella. Problems can arise when the dates don’t match. Consider the following example. Capital Construction is insured under a primary general liability policy with an Each Occurrence limit of $1 million and a General Aggregate limit of $2 million. The policy begins on January 1, 2018, and ends on January 1, 2019. Capital is also insured under an umbrella policy that runs from March 1, 2018, to March 1, 2019. In 2018, three people are injured in separate accidents at Capital’s job sites. Each files a suit against Capital Construction. The claims are settled on the dates and for the amounts shown below. Capital’s primary liability policy pays the first two claims in full. Each resulted from a separate occurrence and generated damages that did not exceed the Each Occurrence limit. However, the policy pays only $200,000 for the third claim because the General Aggregate limit has been used up. The umbrella insurer refuses to pay the remaining $800,000. Why? Only the third claim arose from an injury that occurred during the umbrella policy period. The underlying aggregate has not been exhausted by settlements paid for injuries or damage that took place during the umbrella policy period. Thus, the umbrella pays nothing.